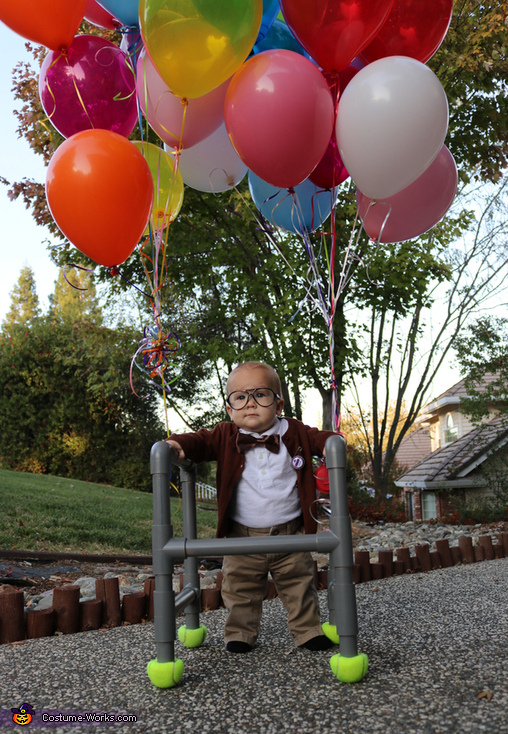 My son, Chase (9 months), dressed as Carl Fredricksen from Disney’s Up. My husband used extra pvc pipes we had laying around to build the walker. We already had the clothes but had to buy the bow tie. And then added the grape soda pin to top it all off :) then added 24 helium filled balloons, which ended up being his favorite part!